The daily overnight KL to Hat Yai Train has been cancelled. Now if you want to make the journey across the border to this southern city in Thailand, you will have to take an Electric Train Service (ETS) to the border railway station at Padang Besar. 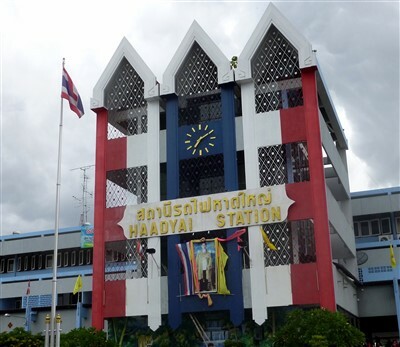 Then you can connect to the Shuttle Train from the border to Hat Yai Junction Railway Station, or take a bus, minivan or taxi to Hat Yai. The good news is, travelling this way by the fast ETS service is still much quicker than the old diesel night sleeper train. You just have to make sure you take the right train from KL to Padang Besar, so you can connect to the Shuttle train to Hat Yai. Or be prepared for a bit of a walk across the main border crossing, to take local transport to Hat Yai. The best option is to take one of the mornings ETS services from KL Sentral, so you can connect to the afternoon Shuttle. 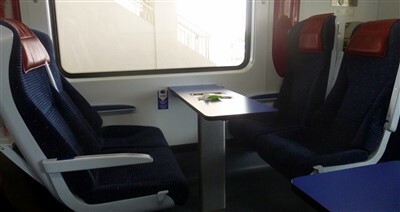 The other option is to take the night train (please note there are no sleeping berths on any of these new trains), but currently, that leaves you with a long wait at Pdg. Besar station for the morning Shuttle, so it's best to continue your journey by the main border crossing and take a bus, minivan or taxi to Hat Yai. Don't take the late afternoon train from KL as you will be stuck at the border until immigration opens in the morning. If you can't make the connecting Shuttle services, you can always take a local bus, minibus or taxi for the last part of the journey to Hat Yai. If you are not planning on staying in Hat Yai, this is a good option to take, as these buses / minivans, can take you to the Hat Yai bus station, where you can find transport to all the major tourist destinations in Southern Thailand, all the way up to Bangkok. There are luxury buses that make this same trip from KL to Hat Yai but take the train if you can, it is far more relaxing than a very long bus ride. 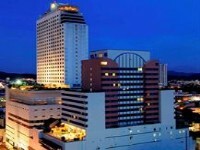 You can also fly from KL to Hat Yai Airport, located to the south of the city. Adults 102 RM - Children 55 RM. Adults 76 RM - Children 42 RM. 50 Thai Baht for all passengers. Advance booking for the ETS trains to the border is a must as these services are in high demand and often full. The easiest way to buy a ticket is to book online. Tickets cost the same online as they do from the station if you book directly with KTM. If you don't want to book online, you will have to visit any KTM ticket counter located at all major railway stations. Booking tickets for the Shuttle to Hat Yai are only available on the day of travel. 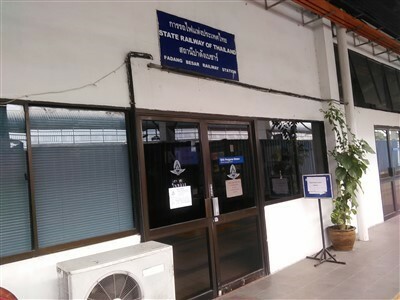 You will have to visit the State Railway of Thailand ticket office at Padang Besar Railway Station to obtain a ticket. No online booking for these trains is available. When you arrive at the border at Padang Besar railway station you will have to go through Malaysian and Thai immigration. Entering Thailand overland, most nationalities are issued a 15 or 30 day visa upon entry (unless you have obtained a visa from a Thai Embassy beforehand). Please check your own countries visa requirements before you enter Thailand. Travelling from Hat Yai to other destinations in Thailand? Padang Besar train station used to have a money changer, but now he has closed down. So you would be wise to bring along some Thai money to get you to where you want to go. There are a few banks / ATM's in Padang Besar Thailand where you can exchange your Malaysian Ringgit, but it is quite a long walk into town from the immigration area. Once you arrive in Hat Yai, use the moneychangers rather than the Thai banks, as you will get a much better rate for your Malaysian money from them. If you go up the stairs at the station there is a restaurant / canteen where you can get a range of Nasi Kandar style food, snacks and hot and cold drinks. When you finally arrive in Hat Yai train station, you are located right in the centre of the city with many places to stay just a short walk away.